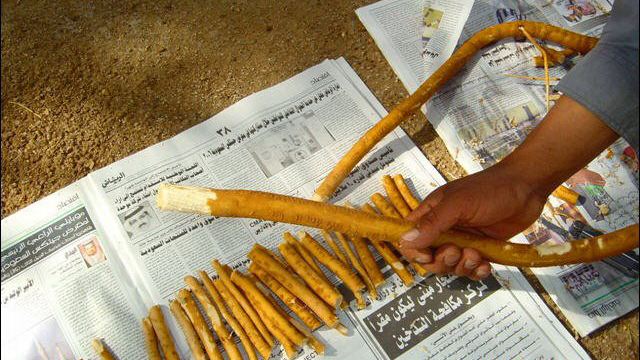 Question: What is the ruling regarding using the siwaak [toothstick]? And with which hand should the Muslim brush [his teeth]? Response: [Brushing the teeth with] the siwaak [toothstick] is a sunnah which the Prophet (sal-Allaahu ‘alayhi wa sallam) has encouraged [brushing one’s teeth with] in many ahaadeeth. As for with which hand to brush the teeth with, then we don’t have any specific evidence for that. [However], some of the scholars say with the right [hand], whilst others say with the left [hand]; And for each of the two opinions there is a point of view. So those who say with the right [hand], then they have referred to the [well known] ahaadeeth about beginning actions with the right [hand or foot] in all actions; Whilst those who say with the left [hand] say [the act of] using the siwaak [toothstick] is considered from the aspect of cleaning, and have [therefore] analogised it with cleaning oneself after urinating, defacating and the like. Therefore, this matter is [to be] left for everyone to do that which they are at ease with.